Dear Priyanka, We offer basic bathroom amenities for our guests. Toothbrush and slippers is charged within reasonable prices. Thank you and we hope to welcome you soon. Good Value for money. All good except: Gym timings are only from 8:00 am to 6:00 pm - Need to be extended. No spare socket outlets for your devices. I had to use the socket meant for electric kettle. Slippers available for a charge - usually free in all hotels. Dear Swarn, Thank you for your review. As for our Gym timings it is open every day 8:00 am to 6:00 pm. We will look into this matter. Our spare sockets for your devices is available for free in the reception. Slippers is chargeable in a reasonable price. We hope we can welcome you again. This is one of the worst hotel I ever stayed, while check in they delay me for 1 hour, the lady was very rude. The room wasn’t as per the discerption it’s very very small not even close to the details that has been provided, as well as the restaurant the menu is limited, I don’t recommend to add any food with in the room , also the parking is very small and the entrance and exits they’re the same. Take my word don’t think to stay in this hotel at all. Dear Tammam, Thank you for your feedback. Our Breakfast consist of Continental Buffet and Asian Buffet and we also serve international cuisine with our Room Service. Aside with that we also have Red Dragon Restaurant for Chinese Cuisine and Kebab Korner for Indian Cuisine. In regards with our Reception, as we investigated you arrive 16:03 and reception have given the room 16:12. As per the room size, you have booked with a client of ours for a Deluxe Queen Room, rest assured that we will look into this matter as we gave that client of ours the Hotel’s room size and amenities. We apologize for the inconvenience you have experienced and we hope you can give us another opportunity. Dear Laiju, We apologize if we didn’t meet your expectation. As a 3-star hotel, our valet parking service is voluntary and available only from 7pm onwards. You have requested the vehicle in the morning. Though it is not standard service, but we arranged it to be delivered to you as you were not comfortable driving it out of our parking yourself. As regards to the ring which you have mentioned you have left in the bathroom, please note that this is a rare case and we always urge our guests to use the in-room locker or guest lock available in front desk for leaving precious item for safeguarding. We hope you can give us another chance. basing on how much I paid, their food and service were reasonable. it is good as a low budget option. Dear Xuan, Thank you for your review and we look forward on seeing you again soon. Dear Minkue, Thank you for your rating and we look forward on your next visit with us. Very good Hotel and service ..staff are excellent ..big room ...child friendly ..would recommend . Dear John, We are glad that you have enjoyed your stay. We are happy of being serviced t you. 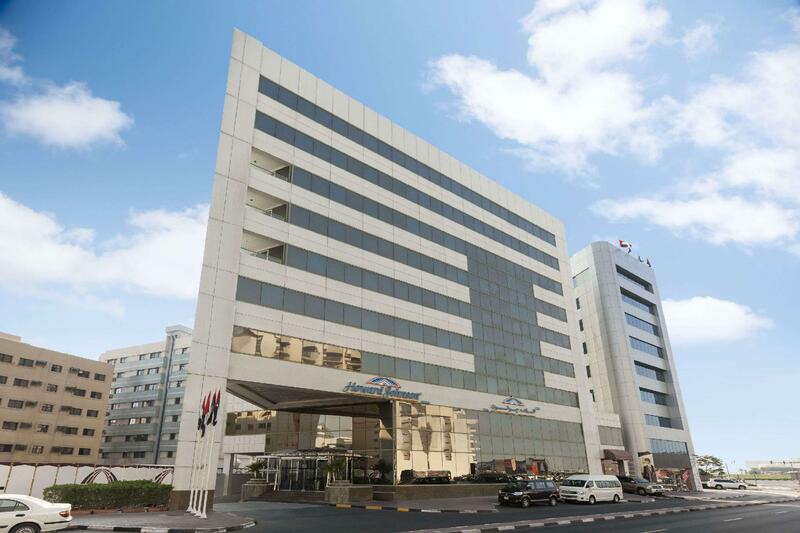 We look forward on your next visit with Howard Johnson Hotel Bur Dubai. Dear Nishad, Thank you for your rating and we look forward on your next stay. The booked room not given the hotel. The booked hotel room size was 52m2, but given another small room only. Please check with hotel the reason. Dear Dili, based on our investigation, there was an error with the standard room measure in Agoda. It was showing there 52m2 but upon booking it shows 24sq.m We will look further into this and ask Agoda team to change it. We apologize for any inconvenience caused. We hope you can give us another opportunity. Dear Wassim, Thank you for your positive comments about our Staffs and Hotel. We hope to see you again soon. Dear Antony, Thank you for your positive comments about our Hotel and staffs. Comments like this motivate us to do our job earnestly. We hope to welcome you again soon. We requested for a room located in higher floors but they placed us in the 1st floor. Music from the bar can be heard in our room and we can also smell the food prepared at the restaurant below us. Learn to read the special request section next time. Room was wonderful (i got an upgrade to suite). Response of the staff was also satisfactory. In-room dining from the chinese restaurant should also be started (though the food was not at all satisfactory). Money spent for food was a mere waste. We need to go to the restaurant for ordering and again to collect the food. A person in the parking got the key and took my car out. "The worst handling of the car i have ever seen". Decided not to give my car key to any of the hotel staff. There was an unpleasant smell from the bathroom. If you are moving with taxi, certainly you will never get one and other transport services also not nearby. Desk services are most disappointing. The desk staff are very rude; Despite me reaching at 7.30, I was kept waiting until 2.40 pm to get the room whereby others coming later than me was getting rooms earlier. Asking for time and again for the password of WiFi (which was free) never was given. None of these Filipino and Indian staff got serving attitude. I had to wait for a taxi for 45 min to go to Deira and eventually had to walk couple of kilometer to jump in one. I will not recommend anyone to go to this hotel. In photo; rooms look quite big but in reality less than half of the size. It's a very thrilling experience since this is the first time to visit country Dubai. Very conveniently located and accessible to taxis. Only few meters away from Dubai mall and churches. The staff are fellow Filipinos and they are very occomodating. Internet is okay and very accessible but cannot call thru viber. Our stay for 2 nights in Howard Johnson was very pleasant. The room was clean and sizable. Staffs were very helpful and attentive, they led us to the bus station and taught us how to get to the airport in a cheap way. There are supermarkets and restaurants within walking distance. Taxi driver can also locate this hotel fairly easily. 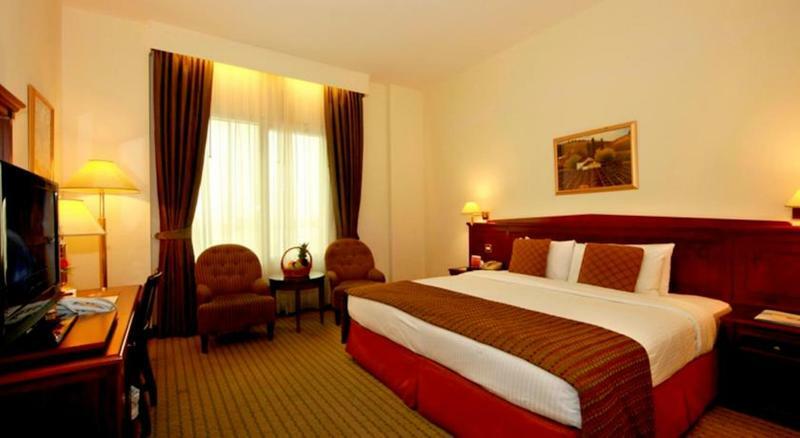 We would highly recommend this hotel if you are staying in Bur Dubai which is good value for money. Just a minor point to mention is that the air conditioning is too cold and apparently cannot be adjusted (appear to be centralized). Dear Nassim, we will expedite on this investigation. Rest assured that Howard Johnson Hotel Bur-Dubai doesn’t tolerate this matter if proven. Thank you and we apologize for the inconvenience. We hope you can give us another chance on your next visit with us. สถานีขนส่ง Al Ghubaiba - ระยะ 0.43 กม.